Applications are invited for a five-day Workshop on Educational Design 2019 – EdTech for Learning organized by Centre for Education Innovation and Action Research, TISS Mumbai. The workshop will be held during May 27-31. This five-day workshop aims to equip and train participants in the creative process of designing technology-based solutions for a pertinent educational problem. Participants will be encouraged to identify and work with a teaching-learning issue emerging from their context. Through hands-on design experiences, participants will create a prototype for their tools/materials, test it and move towards another iteration of the same. Teachers, teacher educators, curriculum designers and EdTech developers working in Indian educational contexts are encouraged to apply in groups. Each group must have a minimum of 2 and maximum of 3 members interested in working on a common problem. Government organizations, university departments, non-governmental organizations and/or other educational institutions are encouraged to nominate interested candidates. Multiple applications from an organization will be accepted. Individual applications will not be accepted. The workshop will limit participation to a total of 20 – 25 participants. Participants should be interested in materials/curriculum design and development in the subjects of language (Modern Indian Languages including English, first or second), mathematics, science, education technology, textbook design, children’s learning or other related areas. They should have basic proficiency in digital skills especially the use of word editors, spreadsheets and internet browsing. For three participants: Rs. 10,000. This includes workshop fee, lunch, and refreshments. 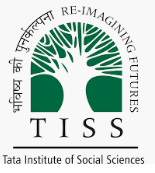 The organizers can facilitate booking stay for participants at the TISS guest house, subject to availability. Register your group application at the link given here. Last date for application: 20th April 2019. Selected candidates will be informed by 30th April 2019. For further information about the same, click here.